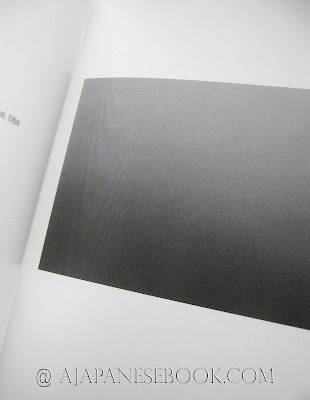 Description — In-12mo (18 x 13 x 1 cm), 56 p., 200 g.
Downy paper bradel binding, (18) b&w pictures. 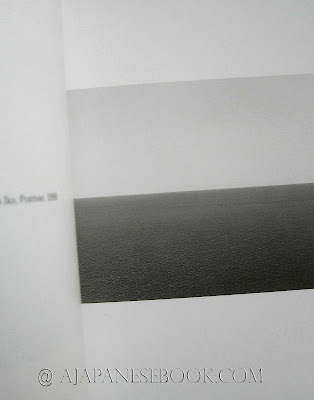 'Next to silence — Seascapes by Hiroshi Sugimoto' by Norihiro KATO, Biblio-biography, in both English and Japanese. 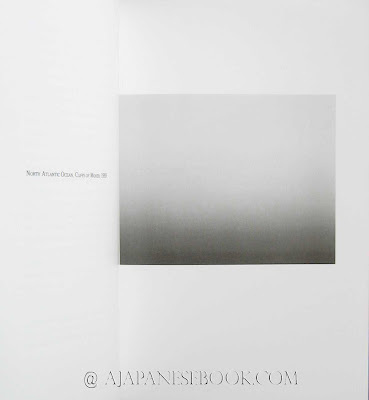 Design by Hisako TANAKA. Reliure bradel papier duveteux, (18) photographies n&b. 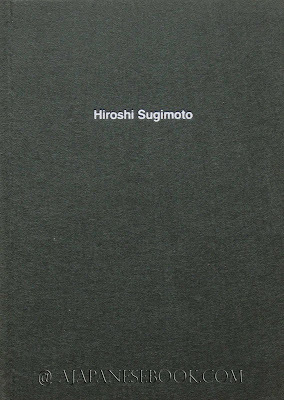 "Next to silence — Seascapes by Hiroshi Sugimoto" par KATO Norihiro, Biblio-biographie, bilingue anglais-japonais. Design par TANAKA Hisako. 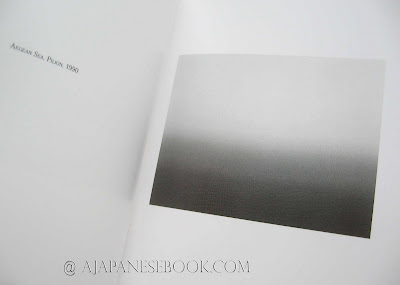 Remarques & avis / Review — An elegant, charming, well-crafted little book that reproduces a selection of Hiroshi SUGIMOTO's fascinating seascapes, on the occasion of an exhibition at the Chiba museum of art. 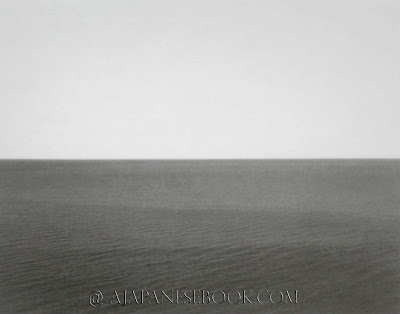 Un charmant petit ouvrage, élégant et bien fini, reproduisant une sélection des fascinants horizons marins de SUGIMOTO Hiroshi, à l'occasion d'une exposition au musée d'art de Chiba.